And while we’re thrilled with the results we’ve created so far, we know that there is so much more that we can do. In fact, our mission is to make comprehensive event and association marketing effortless.Our existing toolkit – including products like Ads and Invites – goes a long way to making that a reality. But we know that driving qualified traffic to your websites is only the first half of the equation. Actually converting that traffic into registrations is the next critical step. That’s why, today, we’re thrilled to announce the release of Feathr’s latest feature - Pages. Easily create mobile-responsive, highly optimized landing pages. With Pages in Feathr, you can easily create mobile-responsive, highly optimized landing pages for your event, membership, or other association marketing campaigns – all without complex coding or web design work. Most marketing and advertising campaigns send visitors only to the general event or association website. Although the website is a great starting point, it can be a huge distraction for your visitors - leading them down a rabbit hole of clicks all without taking the desired action of actually converting. With Pages, you can eliminate that distraction by launching focused landing pages that are designed to drive one specific action. Whether it’s to register for an event, renew their membership, or share a program on social media – Pages lets you easily create a high-performing page with a clear message to drive that action! We’ve taken the guesswork out of landing page design and made it frictionless to quickly publish beautiful, conversion-optimized landing pages. 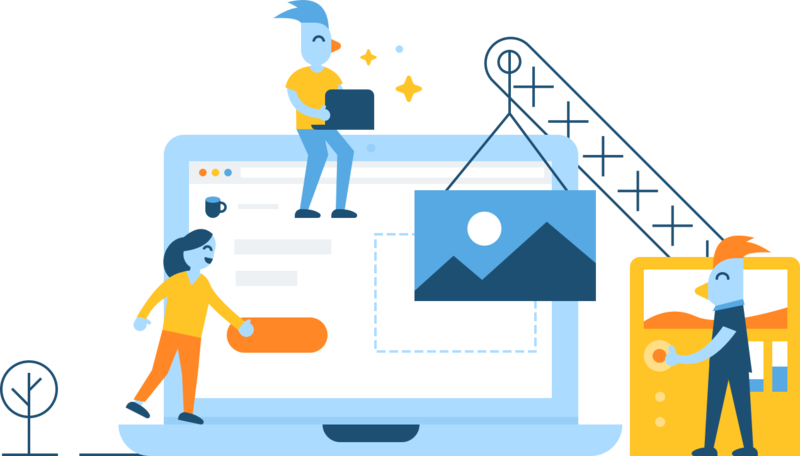 Our built-in templates allow you to simply add your text, images or video and end up with a professional landing page ready to publish in just minutes. Plus, with our easy drag-and-drop editor, you can launch splash pages, thank you pages, “why attend our event” pages, speaker pages and so much more — all without touching a speck of code or hiring a web designer. In just a few clicks, you can publish your landing pages to our servers, or use a custom domain to mask the URL. Custom domains are included in every Feathr account to ensure all of your pages are branded with your preferred URL address. Our landing pages are designed to help you increase conversions and boost event registrations right out of the box. Confidently turn clicks into registrations with our optimized templates based on our experience of working with over 1500 events. Plus, our landing page templates are mobile responsive and look great across all devices. Trackable and personalized destination pages for your ads, email marketing and social media posts. A "Past Event Attendee" Page to share what’s new and encourage members to register again. A "Why Attend Our Event" Page which serves as a hyper-focused version of the attendance-focused content on your overall event website. Speaker or Celebrity Pages that highlight prominent people participating in your event. Pages are built right into the Feathr platform, allowing you to easily combine them with other Feathr products. A natural partner for Pages is our Ads product. Simply build a conversion-optimized landing page with Pages, publish the page, and then launch an Ads campaign – across retargeting, Geofencing, or Facebook – that sends visitors to the landing page you just built. Feathr will show you detailed reporting about how each of your ad campaigns and landing pages are performing. If you're an existing customer, your access to Pages will depend on your plan. If you're not sure what your plan includes, email support or log in to the Feathr app to chat and get in touch with us.